Some weeks things get a little science heavy, sometimes it's a little on their weird side, and there's usually a bit of space travel involved, but these week's trend seems to be "mind-blowing." Want to grow carrots on the Moon? We got you covered. How about bringing a 50,000 year-old ancient human back to life? Sure, no biggie. Oh but what about a solar eruption that reaches some half a million miles in height. We've got the video. No, really we have. Mind blown? This is alt-week. Giant steps may well be what you take, walking on the Moon. But, when it comes to growing crops and supporting a longer expedition -- or permanent colony -- it's more of a slow crawl. That doesn't mean that great minds aren't already trying to crack the challenges that off-world farming presents. One of the primary issues, unsurprisingly, is light. While lunar daytime lasts around two weeks, and it may be possible to funnel this light into greenhouses, the current limits of solar storage technology are incapable of sustaining artificial light for the equally long lunar night, even with one of these guys helping out. In its report on the topic, Forbes suggests that nuclear-powered LEDs provide a more realistic solution. Why? 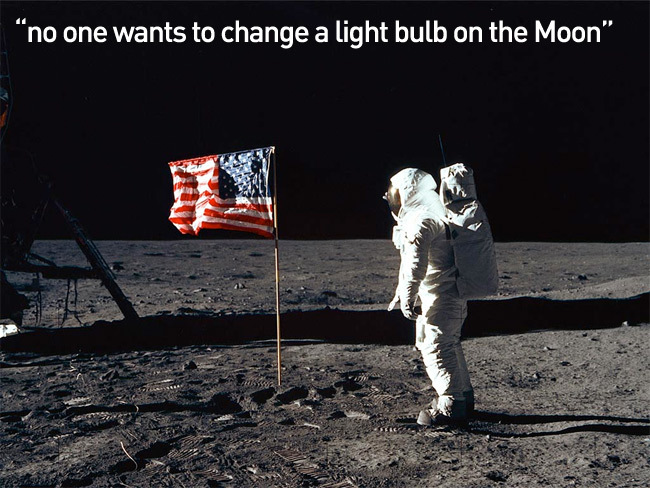 Partly because of their longevity -- no one wants to change a light bulb on the Moon -- but also their hardiness. As for powering them? The suggestion is to use similar radioisotope thermoelectric generators like the one found in the Curiosity rover. With light and power sorted, the next challenge would be protecting green houses from cosmic radiation, micro-meteorites and other dangers presented by the absence of an atmosphere. The solution? Covering them with meters of lunar rock, which should provide enough of a shield to stop the greens from going radioactive. Then, of course, there's the small issue of gravity, and the effect it will have on growing vegetation, but we're thinking, at least there'd be fewer bruised apples. A couple of years ago (back on Earth) the human genome project achieved its goal of identifying all the genes in human DNA. Now, like the sub four-minute mile, it seems to be a something suddenly much easier to do. Well, perhaps if you are one of the team of international scientists who successfully sequenced the DNA of a 50,000 to 80,000 year-old Siberian girl, some 31 times over in fact. 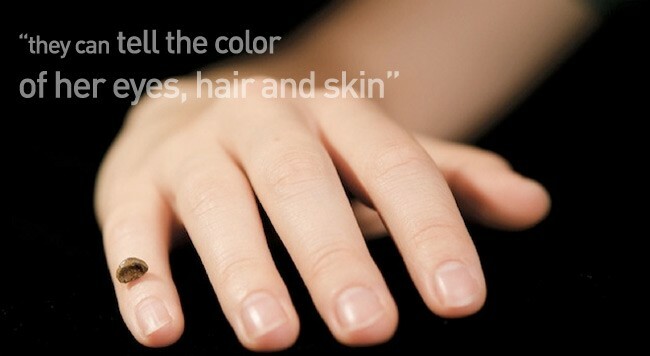 As we reported earlier in the week, the researchers say that the picture of her genetics is so complete that they can tell the color of her eyes, hair and skin (brown in all cases). Hailing from Siberia's Denisova Cave, the girl was from an ancient human sub-species similar to the Neanderthals. The completeness of this genome means we can make almost direct comparisons between the Denisovians and living humans. Also, the team confirm that there was some interbreeding between the now-lost species and the ancestors of some people alive today. That's not a family tree we'd like to be tasked with creating. With future and ancient civilizations taken care of, lets head back out into space. This time to the sun. We know it's hot out there, and there's a tendency for it to get a little stormy, but it's not all that often that we actually get to see it in action. Hot, violent, action. In the video below from NASA's Solar Dynamics Observatory, we see a massive filament eruption. Oh, and when they say massive, they really mean it, with the eruption apparently reaching out about a half a million miles into space. NASA assured us that it didn't travel towards our fragile blue planet, but it did still register a blow to the Earth's magnetic environment. The video also reveals a sneaky taste of the kinda beats they like to get down to at the SDO, we had them down as more of a Trance crowd. While medical science hasn't yet developed a way of preventing our minds being blown by solar eruptions and off-world farming, it is working on self-powered devices to monitor our physical health. North Carolina State University is in partnership with Florida International University, Pennsylvania State University and the University of Virginia to better understand how our environment affects our health via tiny wearable devices. These could be "worn" on the chest like a patch, or on the wrist like a watch taking their power from the host body. The depth of data that these systems could deliver (unbroken streams of heart rate readings etc.) would give doctors a fuller picture of the patient's situation, as well as suggest environmental issues that potentially affect our health. We're already thinking about the potential for smartphone bio-apps. The Mayor of Healthy Heart, anyone?